The company said that field preparations are now underway for a targeted, first pass drill program on the copper-silver mineralization at Junction. VR Resources (TSXV:VRR) has released an update on planning and targeting for its upcoming first pass diamond drill program on its copper-silver Junction property in northwestern Nevada. The company said that field preparations are now underway for a targeted, first pass drill program on the copper-silver mineralization at Junction. The company has received final approvals for required drill permits, a drill contract has been executed, and start-up is planned for later this month. Highway access to the property, and ranch roads throughout the property facilitate cost-effective exploration at Junction. Copper-silver mineralization has been sampled at surface along a 6 kilometre trend at Junction, in coarse-grained quartz-feldspar granite dykes hosted within a sheared, polyphase Cretaceous batholith. Bornite-chalcopyrite copper sulfide aggregates contain micro-inclusions of silver, resulting in a nearly 1:1 correlation of copper and silver in assay data from more than 100 samples. The correlation does not vary along the 6 kilometre trend, nor does it vary depending on the copper grade of a sample, or the ratio of copper sulfide versus oxide. 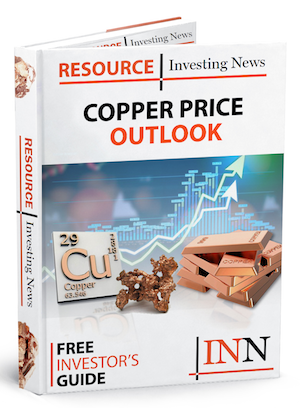 The company will drill-test the integrated targets named Wilder and Denio at the eastern and western ends of the copper-silver trend respectively. Click here to read the full VR Resources (TSXV:VRR) press release.